Can a backyard smoker really change the way you approach meats forever? The Traeger Renegade grill makes that claim. According to Traeger, once you use a pellet smoker, you’ll never look at charcoal or barbecue the same way. This certainly sounds far-fetched, but it’s not entirely inaccurate. With a good quality pellet grill at your disposal, you’ll probably think twice before you revert to using less flavorful cooking methods for meat, fish, and vegetables. Still, pellet grills are expensive. Let’s take a close look at Traeger’s Renegade Elite and try to figure out whether or not it’s the right grill for you. 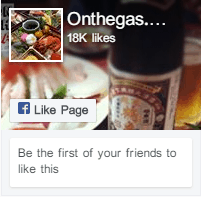 We’ll discuss the features of this unit, the pros and cons, and who the target audience is. By the end of this article, you’ll have a thorough understanding of how pellet grills work, why Traeger is such a dominant market leader, and how you can use a pellet grill to produce high-quality smoked foods in your backyard with an incredibly small amount of effort. First of all, let’s talk about the basics. This is a 380 square inch pellet grill with an electronic temperature control. Traeger was one of the innovators of the modern pellet smoker design, and they’ve included a classic dial-controlled thermostat that controls how much fuel reaches the flame. The smoker itself is fairly simple, with virtually no controls other than the knob and a power button. 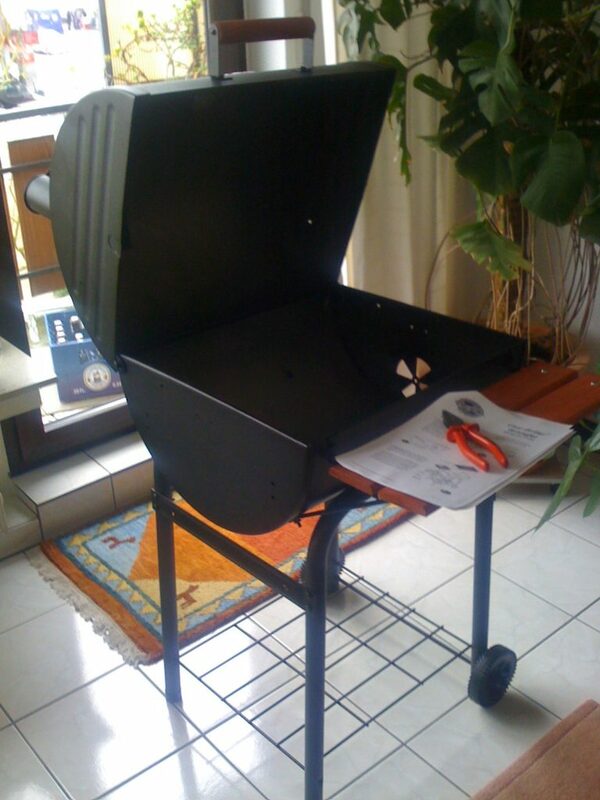 Despite its simplicity, this machine will barbecue circles around a conventional propane grill. There are two reasons for this. First of all, while Traeger’s venerable electronic temperature control is starting to show its age, it’s still a reasonably effective set-and-forget device. Since barbecue often involves cook times that are well over 10 hours, the fact that you can set up your Renegade Elite at night and have it hold the right temperature while you sleep is invaluable. The second has to do with the pellets burned by your pellet grill. 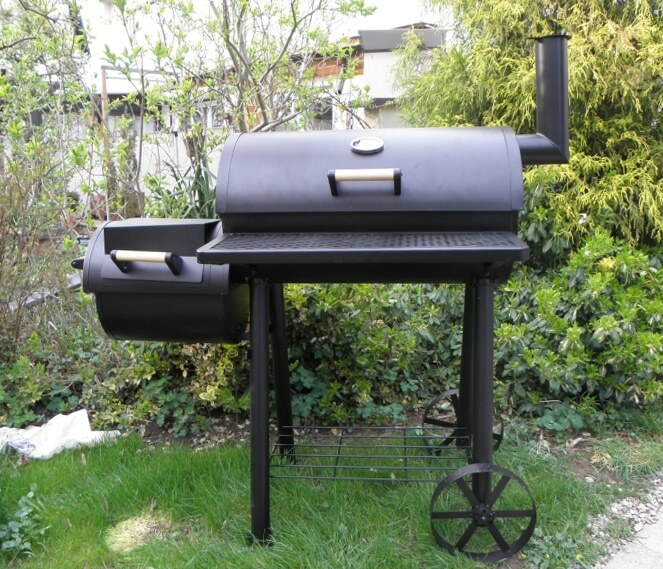 Unlike other types of grills, pellet smokers burn special pellets that are made from food-safe hardwoods. You can find pellets that are made from a variety of wood types, including hickory, apple, cherry, oak, and more. As these pellets burn, they release natural hardwood smoke that then condenses on your food and lends it that classic smoked taste. 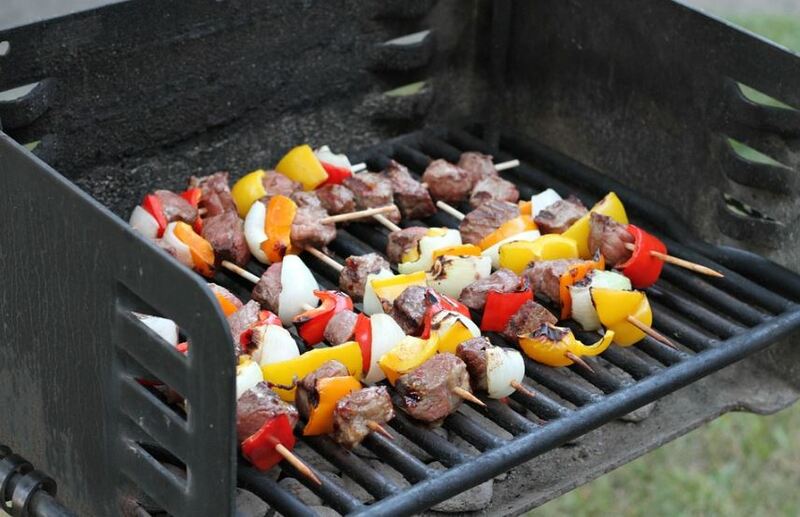 While you can emulate this somewhat with a charcoal or gas grill with the right tools, you’ll never get quite as much flavor as a pellet grill. That’s because pellet grills use natural hardwoods as their exclusive fuel source. As a result, you get much more smoke that’s released in a much more natural way. This means you get a ton of flavor with every bite as long as you’ve set things up correctly. It’s worth noting that smoking is a slow and low technique, not a fast and hot technique. Most of the flavor from your smoker comes from the smoke condensing on your meat as it cools. If your smoker is set to a high temperature, this happens a lot less. Tools like the Traeger Renegade Elite are absolutely brilliant for anything involving low temperatures and lots of time. If you want to sear a steak or even just grill some burgers for a casual barbecue, you might be better off with a conventional grill. The cooking rack on the Traeger Renegade Elite isn’t huge. 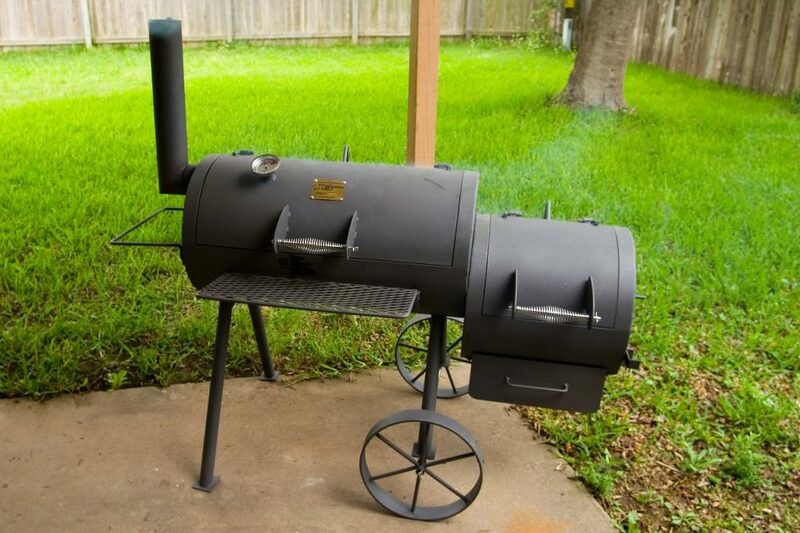 It’s big enough to hold two briskets reasonably comfortably or cook several filets side by side, but if you’re trying to smoke enough food for a neighborhood cookout, you’ll have to start several days in advance. 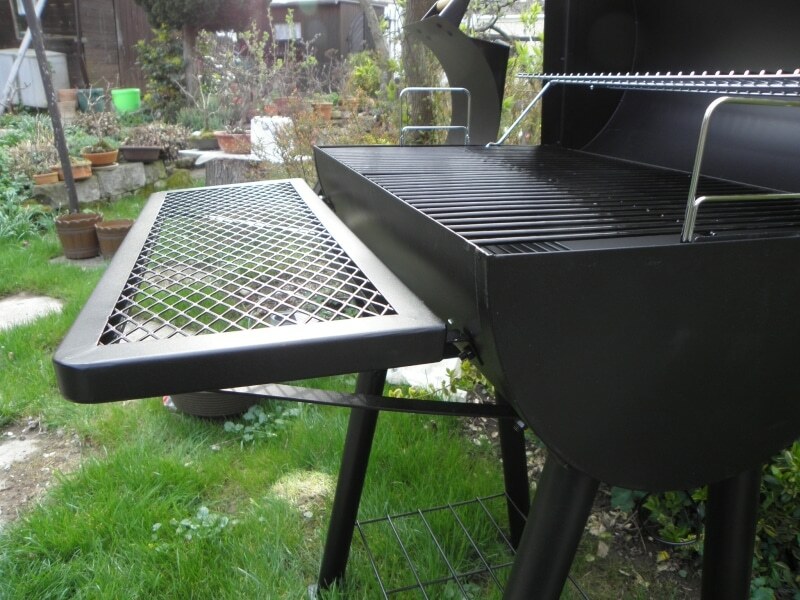 This probably won’t be a huge issue for casual backyard barbecue enthusiasts – after all, a bigger grill would only burn more fuel – but it’s worth noting that this smoker is actually fairly small for the price. I mentioned earlier that Traeger was one of the innovators in the backyard smoker business. Before Traeger started pushing their products, practically nobody had even considered the idea of putting an electronically-controlled smoker in a normal backyard. Traeger introduced consumers to a simple electronic thermostat that turns an auger to carry pellets to the grill area, where they’re burned to produce both heat and smoke. In recent years, however, Traeger’s competitors have done a lot of catching up. While Traeger pellet smokers still account for something like 80% of consumer smoking machines, they’re not the de-facto best option in a lot of cases. The biggest issue that you’re likely to have with a Traeger has to do with temperature control. This might sound odd, especially since I’ve been lauding the brilliance of Traeger’s hands-off thermostat. My earlier statements are still true – you can absolutely purchase a Renegade Elite, load it up with fuel, set it to 250, and come back 10 hours later to a nicely smoked brisket. The issue is that other brands simply do things better these days. Options from Camp Chef and REC TEC are even more accurate when it comes to temperature. Traeger says that its controller is accurate to within 20 degrees, which means your setting of 250 could result in temperatures anywhere between 210 and 290. This is a pretty big swing. For home cooking, this is more than accurate enough – your indoor oven likely operates within a similarly inaccurate range – but it’s somewhat frustrating when you’re really trying to dial-in a recipe and get the very best barbecue possible. I want to be clear here: this Traeger is not BAD when it comes to temperature control. It’s simply outclassed by other options. Should you choose this Traeger, you’ll have no problems cooking incredibly succulent, moist meats with just the right amount of smoke. If you really want to take your cooking to the next level, however, you’d probably do slightly better with a smoker grill from another brand. Now, Traeger does have a pretty big advantage over both REC TEC and Camp Chef in one important area: experience. Traeger has been a market leader for many years and absolutely destroys any competitor when it comes to raw units produced. 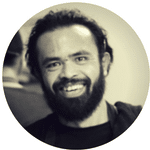 This means that you can expect a working, easy to use product that’s been polished and iterated over many generations. REC TEC and Camp Chef both occasionally send out “dud” units with manufacturing defects. Their customer service is more than happy to correct any issues, as you might expect, but my anecdotal evidence suggests that you’re much less likely to have an issue with your Traeger in the first place. As far as ease-of-use features, the Renegade Elite is pretty bare bones. This means it’s less complicated and less likely to break, sure, but you may find yourself missing the hopper-emptying feature from a Camp Chef or the built-in light of a REC TEC. With everything considered, I think that the Traeger Renegade elite is an excellent choice for anyone who wants to start smoking meats in their backyard. It is not the “definitive choice” by any means, however. If it’s cheaper than a Camp Chef or REC TEC in a size that you like, it’s probably the best option. If the other brands are less expensive, however (and they often are), then you might be slightly better off if you choose something other than Traeger. All three options are brilliant machines that will make your slow-cooked meats true works of art, so there’s really no wrong choice! The only difference is cost, how precise the internal thermostat is, and how many fancy extra features each unit has. It’s worth noting that the Traeger Renegade Elite has been discontinued. The Renegade Pro is the new model, and it features a slightly better temperature controller. It still won’t match up with the LED-equipped REC TEC, however, and user reports indicate that the actual temperature still swings quite a bit. In general, you should consider the Renegade Pro to be very slightly better. You’ve got lots of options when it comes to Traeger grill sizes. Here are a handful of other models that perform similarly to the Renegade Elite. Traeger’s Renegade Pro is a slightly updated version of the Renegade Elite above. It’s the same size, with 380 square inches of cooking space and an 18 lb hopper. The big draw here is the newer temperature controller, which says it stays within 15 degrees (instead of 20) on the box. In practice, it seems to be much more accurate than the old model, but our sample size wasn’t huge. Generally speaking, I think that the Renegade Pro is a slightly better option than the Renegade Elite. That said, the Renegade Elite has been around for a lot longer, so it’s a “safer” option. The differences aren’t huge, so feel free to get whichever option is on sale! Don’t let the “Lil’” in the title fool you – this Traeger pellet smoker has 418 square inches of grilling space. It’s slightly larger than the Renegade series and features a very similar design. This slightly older model features the +/- 20 F controller, which means you won’t get super accurate temperatures. Honestly, the difference in size isn’t huge here. You can check the price on this model to see if it’s on sale, but you shouldn’t base your purchasing decision on a mere 30 square inches of extra cooking space. The Texas Elite 34 has a whopping 646 square inches of cooking space. This is just short of double the amount of room you get in the Renegade series. Like the “Lil” Texas pellet smoker above, however, you’re stuck with the older temperature controller. Consider looking at options from Camp Chef or REC TEC to get a feel for how their prices compare. Again, the difference in temperature controller isn’t huge to a home chef. If this model is cheaper or easier to get a hold of in your area, there’s absolutely nothing wrong with it. It’ll still give you hours of attention-free cooking. You’ll only notice the difference in controllers if you’re a super serious barbecue chef. If you need even more space, this 884 square inch pellet grill comes with Traeger’s newer temperature controller. It’s a wonderful tool for cooking massive quantities of meat at once. Still, be sure to check out competing models to ensure that you’re getting the best deal. 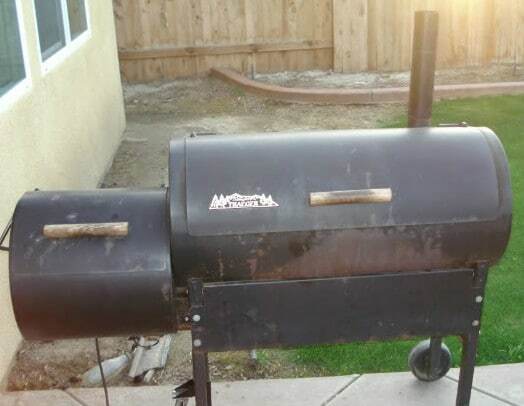 While this classic Traeger gets the job done, you might be able to find a REC TEC or Camp Chef that gets the job done cheaper. The primary advantage of this 340 square inch pellet grill comes from the advanced controller. Instead of being limited by a notched knob, you can use an LED screen to dial in a temperature in 5 degree increments. Monitor the actual temperatures in your meat with two included meat probes, or simply sit back and let the more modern thermostat do its job. Built-in wifi lets you monitor your cooking job via an app, if you so choose. The downside of this unit is the sheer cost. I’m not sure if it’s the wifi, the temperature controller, or the include grill cover and pad, but this REC TEC is often more expensive than a comparable Traeger. 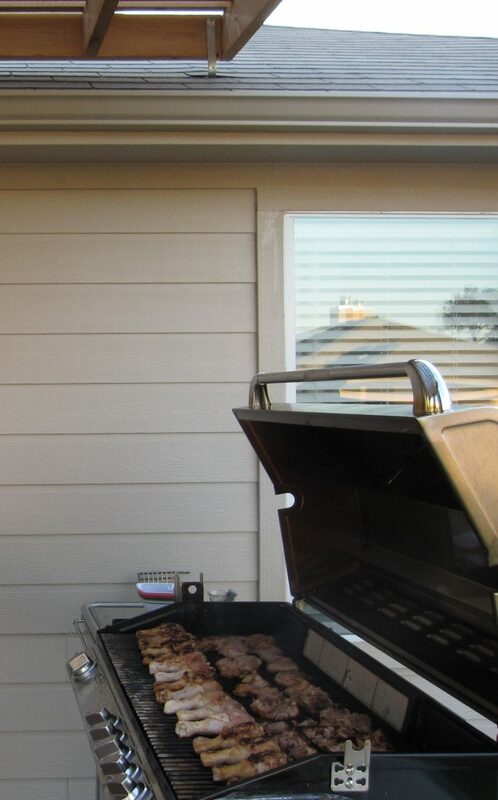 Granted, the Traeger doesn’t come with any of these accessories, but if you’re going to be storing your grill on a patio in California and you don’t need a cover, you might save a few bucks by choosing Traeger. The controller on this unit isn’t quite as fancy as the REC TEC above, but it’s much, much cheaper. 430 square inches of lower rack space means that you get more room on the inside, too. Users report that the thermostat inside of this unit can keep the temperature within 5 degrees of the setting under real use conditions, which is pretty impressive when compared to Traeger’s 20 degree swing. Camp Chef has included a handful of other amenities, too. These include an easy-access ash drop that makes cleaning out your unit quite a lot easier, a hole in the hopper that you can use to dump unused pellets (or switch wood types mid-cook), and an easy-to-access fuse for effortless maintenance. Overall, this is my favorite choice for people who are just getting in to backyard barbecue. The low cost helps ensure that you’ve got plenty of room in your budget to try out all kinds of wood pellets and pick up lots of exciting new meats to smoke. It’s quite comparable to the other units, however, so feel free to choose whichever brand and model you like the best! Between the late 1980’s and 2006, Traeger had an exclusive patent on key technologies involved in the modern pellet grill. The company was founded by a wood pellet innovator named Joe Traeger. The brand’s story began when Traeger (the person) accidentally set his grill on fire in 1985. Frustrated, he began to brainstorm ideas for a pellet smoker that would be safe to leave unattended for long periods of time. The result of his labor is the pellet smoker we know and love today. It took about three years for Traeger’s pellet grills to enter production. In 1988, the first pellet smokers began rolling out of Traeger’s manufacturing plant. They featured a simple three-position controller that gave users just enough input to successfully smoke their favorite meats. 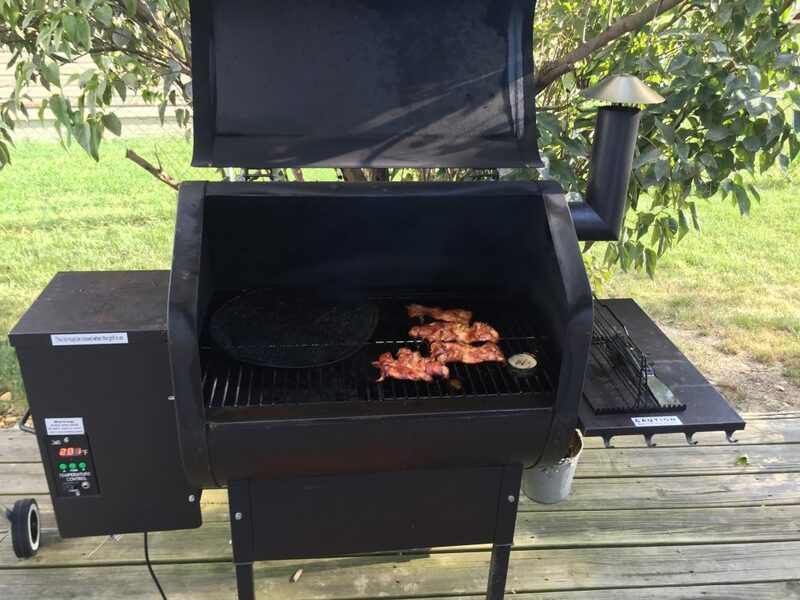 Over the years, Traeger improved their design, adding more and more helpful features. 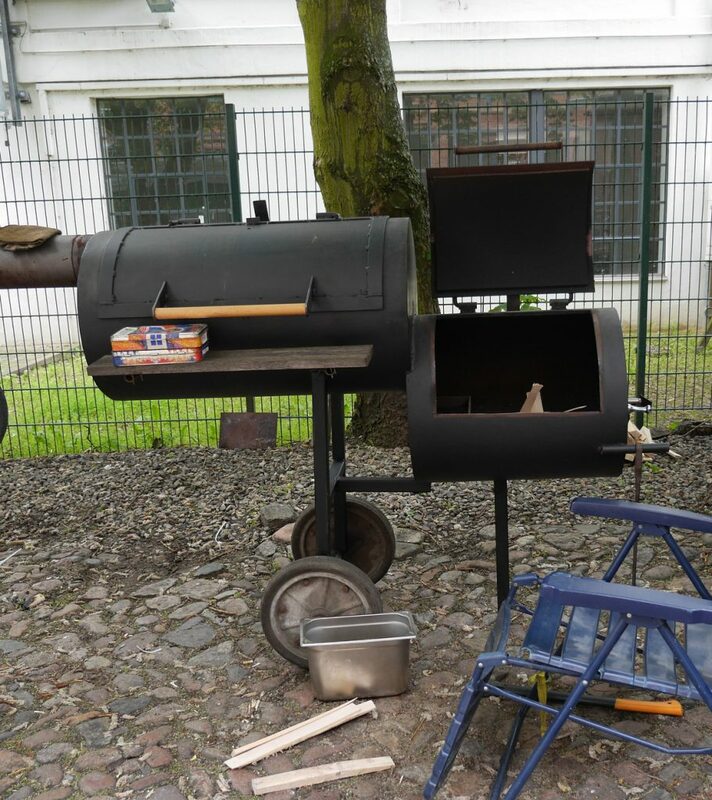 These included igniter rods for easy starting, more advanced electronic auger controls, and improvements over the design and shape of the smoker itself. Still, the basic idea of the pellet smoker hasn’t changed much. Even the best modern designs has more in common with Traeger’s first 1988 smoker than you might think. Key features like a diffuser plate to prevent grease flare ups, a big hopper for storing wood pellets, and an electronically controlled auger to carry those pellets into the firebox at a controlled rate are found in virtually every pellet grill to this day. The big innovation that helped propel Traeger forward was the safety of these grills. Barbecue involved (and continues to involve) long periods of cooking at low temperatures. 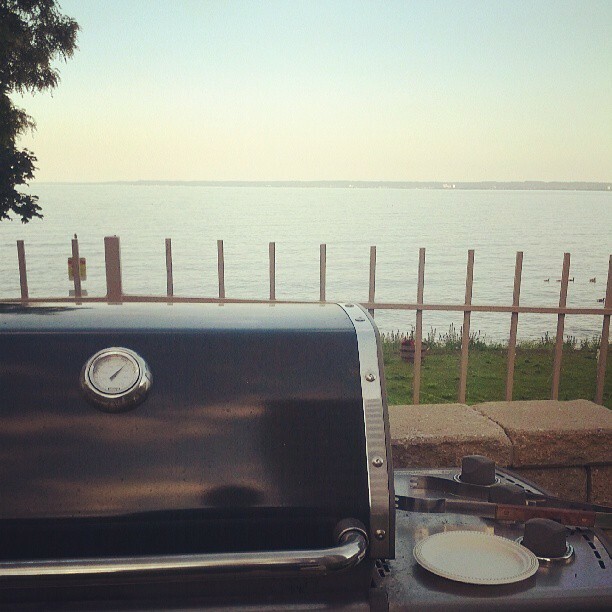 A charcoal or gas grill isn’t necessarily safe to leave unattended overnight. Traeger’s pellet smokers, however, had the right combination of safety features to prevent mishaps. Traeger’s dominance started to wane when the Traeger patent expired in 2006. Joe sold the company shortly after. The new management has done a phenomenal job of producing new, modern pellet smokers, but the rest of the market has done an even better job of catching up to Traeger’s 20 year lead. 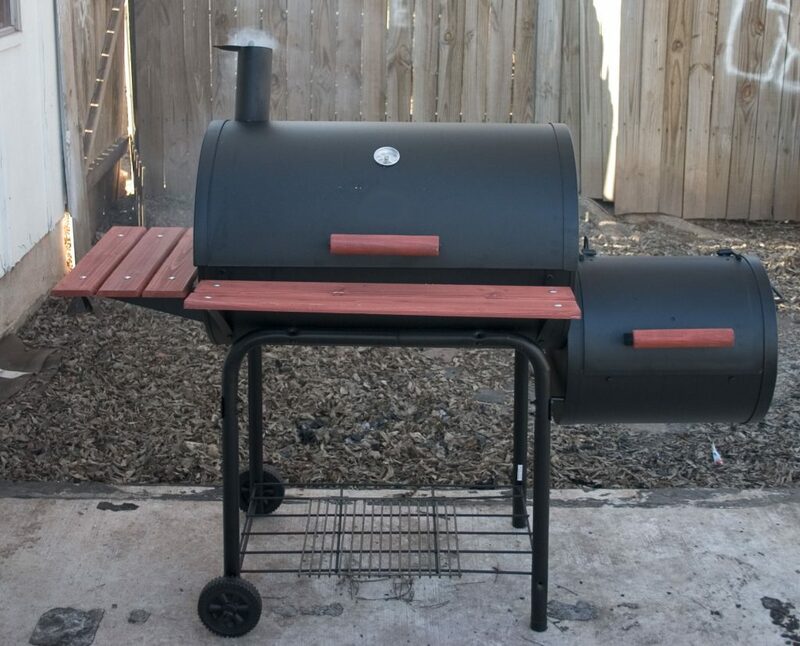 As a result, you can often find competing brands that offer smokers with more features than a comparably sized Traeger while saving a few dollars. As a result, Traeger’s marketing team has stepped up their game. 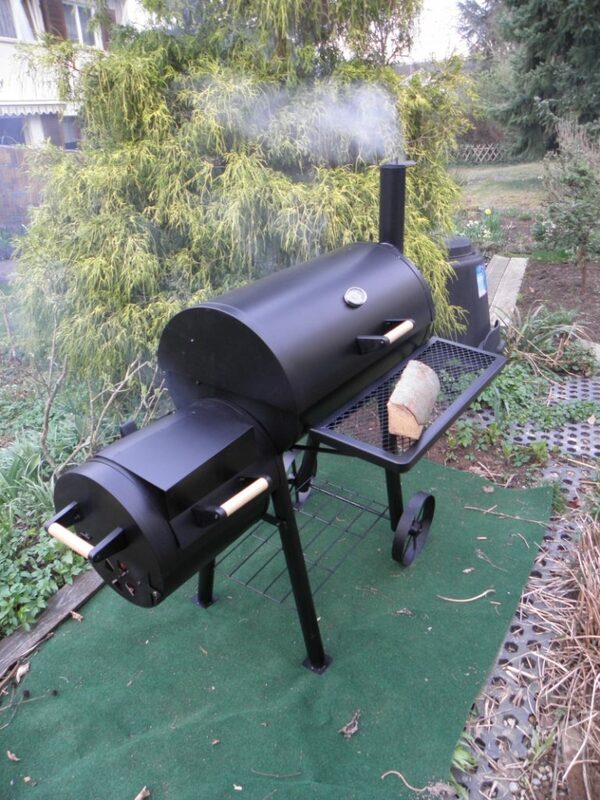 Their newest model, the Timberline, is one of the most hotly debated smokers around. Its advocates point to features like wifi connectivity, multi-tier grilling, and an advanced temperature controller. Critics cite issues with the basic functionality, quality assurance problems, and the fact that it’s incredibly expensive. I’m definitely in the latter camp – I’d rather get a $60 wifi temperature probe and a $600 smoker than a $1600 smoker with wifi. Low and slow is the way to go when it comes to barbecue. You’ll want to cook your meat at a fairly low temperature – often between 225F and 250F – until it’s done. The best way to do this is to simply stick a wireless meat probe inside of your brisket or ribs and simply wait until the internal temperature reaches the right level. Otherwise, set a timer for most of the recommended cook time and then come back and use an instant read thermometer every so often until you’ve verified that your meat is done. While you should stick to lower cooking temperatures, you probably shouldn’t cold smoke your meat. Cold smoking refers to the practice of using practically no heat and instead allowing the smoke as a pure flavoring agent. While it’s done commercially with foods like smoked salmon and some varieties of beef jerky, you should NOT do this at home. The pros have access to equipment and ingredients that you probably don’t have lying around in your pantry. They’re also not perfect at it. Numerous government safety boards suggest that smoked salmon might not be safe for children and the elderly due to the dangers associated with holding food in the “danger zone” of more-than-room-temperature-but-not-cooking for too long. In general, try to keep your cooking temperature above 225 unless you’re sure you know what you’re doing. Your smoker might come with a big bag of pellets that you can use to start things off. Don’t wait until you’re all out to buy more! Part of the magic of owning a pellet smoker is experimenting with different pairings of meat and hardwood. Try picking up a few smaller bags of different woods so that you can experience these flavors for yourself. Blends are great, too! In general, pellets are available online from reputable sellers for about $1 per pound, so there’s no excuse to not try several varieties. If you want good barbecue, you’ll need to start with good quality meat. A smoker can work wonders with a cheap cut, but you’ll get even better results out of a properly marbled steak. Remember to trim and season your meat before you stick it in the smoker. Fat adds flavor, sure, but you definitely can trim most visible surface fat before you throw a brisket in the smoker. A bit of salt will help tenderize the meat and add lots of flavor. If you have time, try a dry brine to get even more tenderness and taste from your salt. When your meat finishes, be sure to rest it! Wrap it in foil and then let it sit for at least a half hour before serving. This will help give the meat a chance to cool off (so you don’t burn yourself), and while it will drive you nuts, it really helps to tenderize things. Some home chefs like to wrap their meat in foil at some point during the cooking process. This is supposed to help trap moisture and ensure that your ribs or brisket are fork tender. I find that this step is totally unnecessary on a pellet smoker – the solid temperature control and low heat already work together to give you juicy, tender meat. If you think this technique improves your results, feel free to use it. The conventional wisdom suggests that you should wrap your meat for up to a third of the cook time towards the end of the smoking process. Some people like to unwrap the meat before it finishes, while others will leave it wrapped until it’s totally done. No matter when you wrap your meat, bear in mind that the smoke can’t penetrate aluminum foil, so you’re not getting a lot of flavor out of your pellets. One other helpful technique involves something called a “mop,” which is a fancy term for a liquid sauce that you often spray on your meat with a spray bottle as it cooks. Common mops generally involve mixes of beverages like bourbon, apple juice, and soda, while more “culinary” mops involve vinegar, spices, and other flavorings. The idea is to provide a bit of liquid to keep the outside of your meat moist and help encourage smoke to condense and lend its distinctive flavor to your meat. Many chefs apply their mop more than once during the cooking process. Be careful not to get carried away, however, as you don’t want to let out too much smoke and heat. Even if you’re not applying a mop, try not to lift the lid up too much. Not only are you letting heat out when you peek at the ribs on your Traeger, you’re also letting out smoke. It’s totally fine to check on your meat towards the end of the cooking process, but you don’t need to peek very much (if at all) during the middle. Traeger holds a gigantic market share due to their 20 year patent-enforce monopoly. As the rest of the playing field catches up, however, even the latest Traeger bbq grills seem to somehow show their age. The venerable dial-style temperature controllers that Traeger uses tend to be less accurate than their digitally-equipped competition. While the smokers themselves are solid and reliable, Traeger isn’t the standout choice that it used to be. Instead, it’s simply another acceptable option.